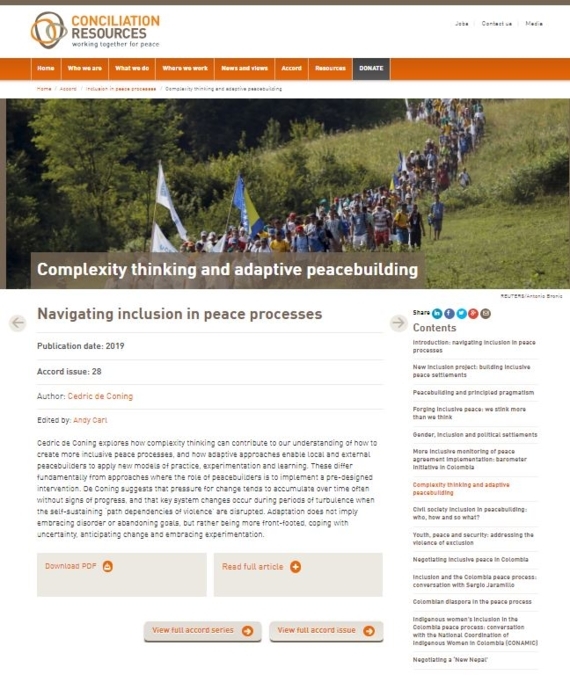 Cedric de Coning explores how complexity thinking can contribute to our understanding of how to create more inclusive peace processes, and how adaptive approaches enable local and external peacebuilders to apply new models of practice, experimentation and learning. These differ fundamentally from approaches where the role of peacebuilders is to implement a pre-designed intervention. 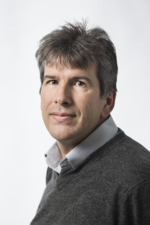 De Coning suggests that pressure for change tends to accumulate over time often without signs of progress, and that key system changes occur during periods of turbulence when the self-sustaining ‘path dependencies of violence’ are disrupted. Adaptation does not imply embracing disorder or abandoning goals, but rather being more front-footed, coping with uncertainty, anticipating change and embracing experimentation.